Please ensure your pets are vaccinated at a legally registered and officially designated animal hospital in the PRC. Only officially designated animal vaccination hospitals are permitted to procure legally registered and safe vaccines through the official government agency – the Agricultural Bureau. The Bureau imports legally registered, international rabies and distemper vaccines manufactured in Europe and North America. Only official animal rabies vaccination hospitals can also issue the immunity certificates (e.g., vaccination red books) that are needed to verify that the vaccines your animal received are legally registered and SAFE. Please note all dogs must be rabies vaccinated annually by law in China. 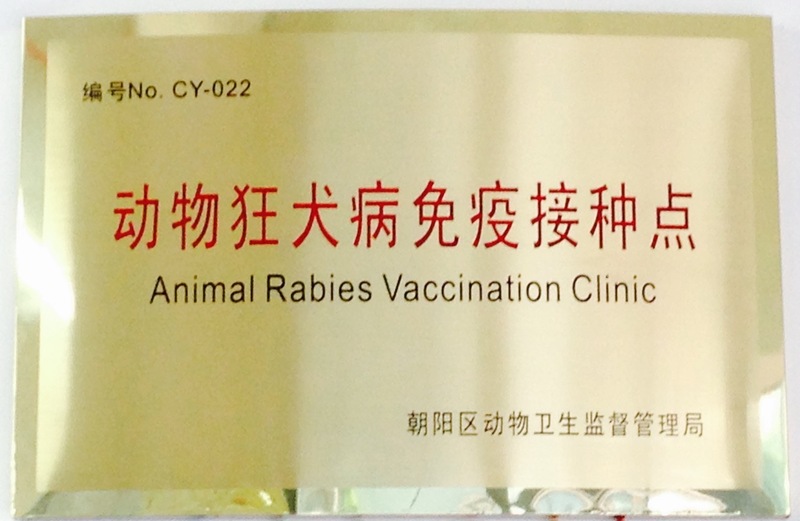 China does not recognize the 2- or 3-year rabies vaccinations from other countries. 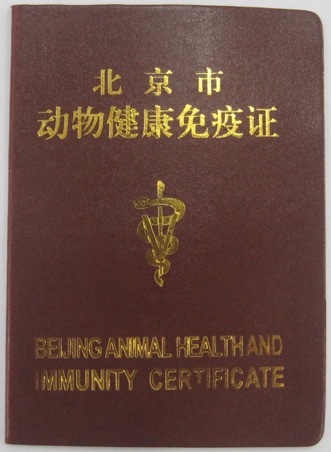 ICVS vaccination red books are the gold standard in China, and are issued to pet owners with both legally required stamps (e.g., chops) already in the red books. Owners must have vaccination red books with both stamps in order to export pets to other countries, in line with pet export regulations of the PRC Entry-Exit Inspection and Quarantine Bureau. ICVS vaccination red books have helped pets successfully depart from China to more than 180 destination countries. ICVS vaccination red books are unique and are not issued in conjunction with any other pet hospitals in China. Kindly ensure your pets receive an ICVS vaccination red book to prove legal and proper rabies vaccinations needed to renew dog registration licenses, transport pets to other cities and to relocate overseas. 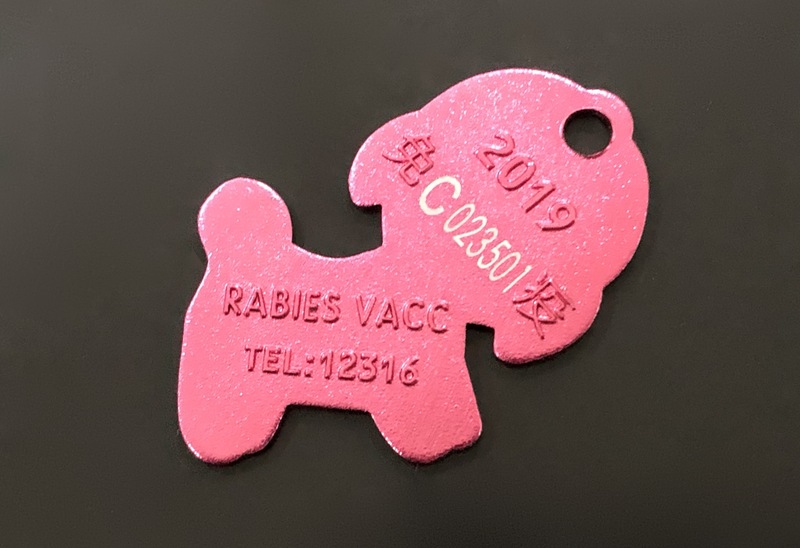 All dogs that are rabies vaccinated will also receive and must wear the rabies collar ID tag. This is issued from ICVS to all dogs that receive an official rabies vaccination. If you are unsure about the status of your animal clinic or hospital, please ask them to show you their license and registration and the bronze plaque that should be on display in their front office. If they do not have the bronze plaque and cannot issue you the official immunity certificate (vaccination red book), they may not be an officially designated animal rabies vaccination hospital. Unauthorized pet care facilities are NOT approved to procure and administer legally registered vaccines. Please take caution as you may risk having your pets injected with products that may have been sourced through unsecured illegal channels. These products may be expired, improperly stored (e.g., unrefrigerated and therefore, ineffective) or counterfeit. The International Center for Veterinary Services (ICVS) is a legally registered and officially designated animal vaccination and full service hospital in Chaoyang District. ©2006-2019 International Center for Veterinary Services. All rights reserved.